After unveiling the facelift version of its sedan Fiesta in the Indian Auto Expo 2014, Ford India is all set to launch the upgraded version of Fiesta any time in coming days, however it has been reported earlier that company may launch it during the third week of this month. Talking about the engine configuration it is reported that facelift Fiesta will continue the existing engines in both petrol and diesel variants. The petrol variant will be equipped with same 1.5 litre petrol engine churning the power of 108 bhp and torque of 140 Nm, while the diesel variant blessed with 1.5 litre diesel engine churns the power of 89 bhp and torque of 204 Nm. Both engines will be coated with five speed manual transmission system followed by option of six speed automatic transmission system available in petrol version. The cosmetic changes which have been offered in facelift Fiesta could be witnessed in exteriors and interiors of the sedan. The front fascia has been developed with enlarged chrome glutted front grille, redesigned bonnet along with angular head lights, new fog lamps, on the rear side company has installed new bumper with chrome finishes, new boot lid etc. The changes offered in the interiors include newly designed steering wheel, piano black centre console, gloss finish instrument console. 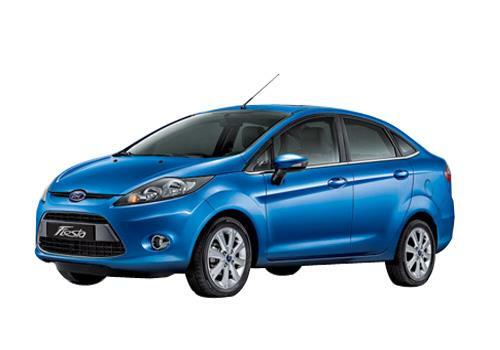 Additional features offered in facelift Fiesta include App link, auto start/stop button, automatic head lamps and wipers. However these features may be offered in the top end variant of this Fiesta. 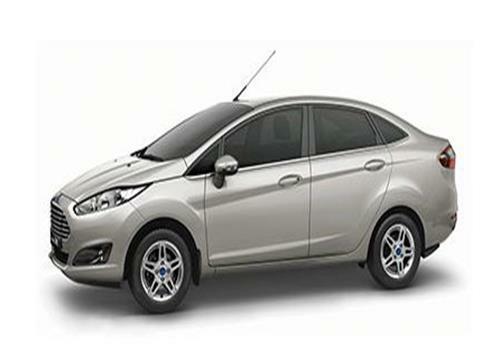 Click here to know about features offered in outgoing model of Fiesta.